With various exhibitions coinciding, Alex is showing work in four shows simultaneously on November 8th, 2014. “The Institute of Unnecessary Research Meets The Egyptian Bioart Club” is on show at House 31 in Dubai’s Al Fahidi Cultural Quarter for ISEA 2014. “My Robot Companion” is on show at Goldsmith’s in London as part of the Creative Machines exhibition until November 14th. And finally, it’s the last weekend of “Shadows of Light” at The Lightbox in Woking. 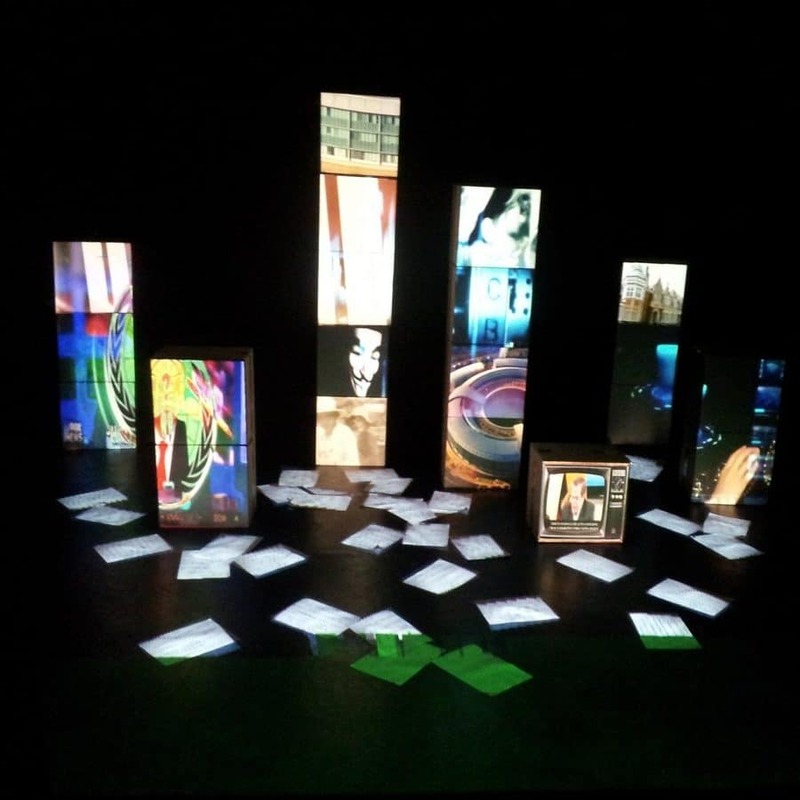 On October 28th Alex will be giving a talk at The Lightbox in Woking about his art practice and the challenges of creating and preserving digital art. Book a place here. The talk coincides with the ongoing exhibition at The Lightbox that features ‘Shadows of Light‘, which will be on show until the end of October. Next week Alex is off to Dubai to take part in the ISEA 2014 exhibition, working with other members of The Institute of Unnecessary Research and The Egyptian Bio-Art Club. Alex is also showing a new video sculpture called “Room 40” at Watermans Gallery in London as part of the Networked Bodies weekend event. Finally, Alex will be giving a talk at Nottingham Trent University on November 14th about his Painting With Light video sculptures.